Listen as Clarence Moriwaki, Vice President of the Bainbridge Island Japanese American Community talks about the historic and fun mochi tsuki festival — an annual tradition here on Bainbridge, and one of the largest in the US. This year it’s at Islandwood, on Sunday January 3rd from 11am to 3pm. For over a millennium, making and eating the sweet rice treat called “mochi” has been a celebrated New Year’s tradition in Japan. 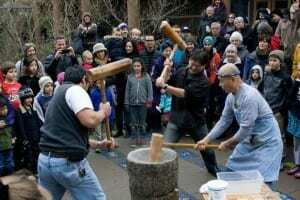 Bainbridge Island’s Japanese American community is commemorating the 27th year of this traditional annual Mochi Tsuki (moe-chee sue-key, or mochi-making) celebration. This fun event is a way for family members of all ages to come together and wish good health and prosperity for the new year. 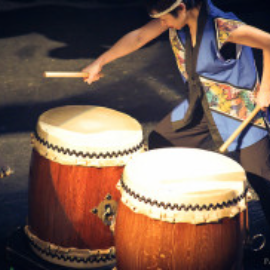 Other activities include exhilarating drumming performances by the Seattle Kokon Taiko, plus various films and guided tours of the Islandwood campus. 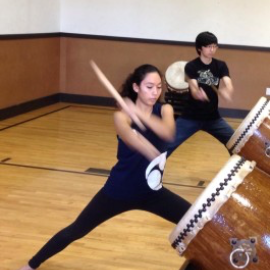 There will be three short Taiko drumming performances at 12:20, 1:20, and 2:20 in the Great Hall. Free tickets will be handed out on a first come, first-served basis on the hour at noon, 1 and 2pm that day. Admission to the festival and performances is free, but donations to the Bainbridge Island Japanese American Community (BIJAC) are welcome. Credits: BCB host: Sandy Schubach; BCB audio editor and social media publisher: Barry Peters.